1. 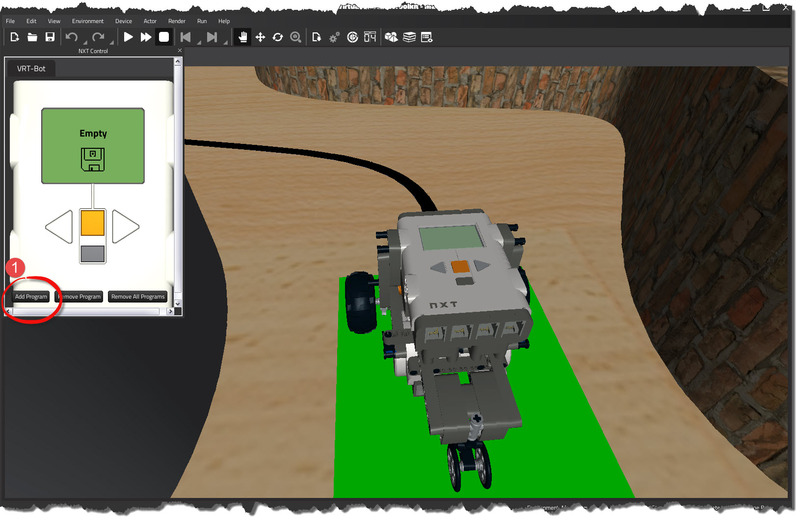 Open the NXT-G programming environment, and create a new program called "MoveRobot". 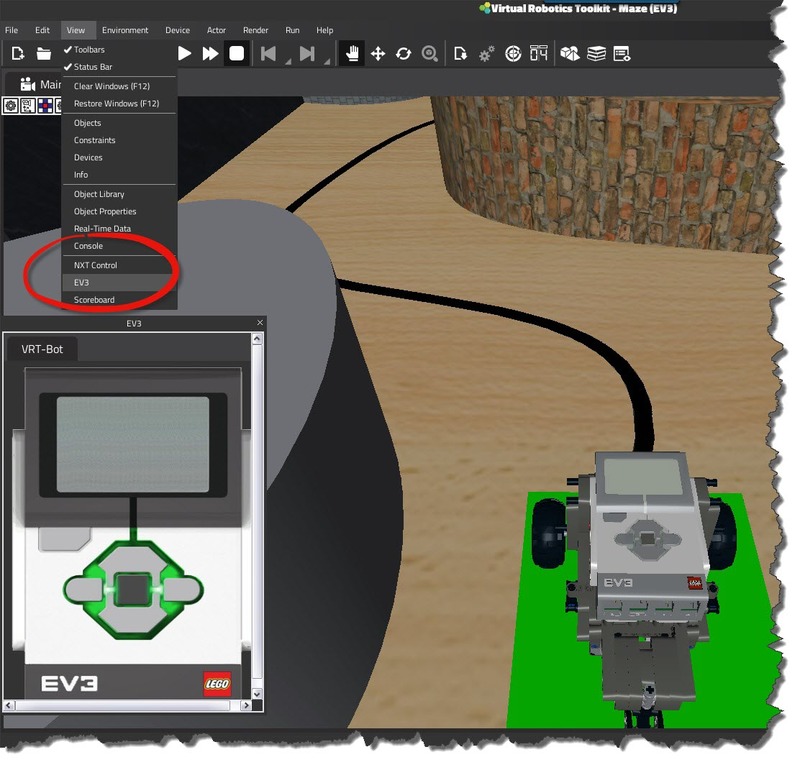 This simple program will do nothing more than use a single MOVE block to propel the robot forward for 1 motor rotation. 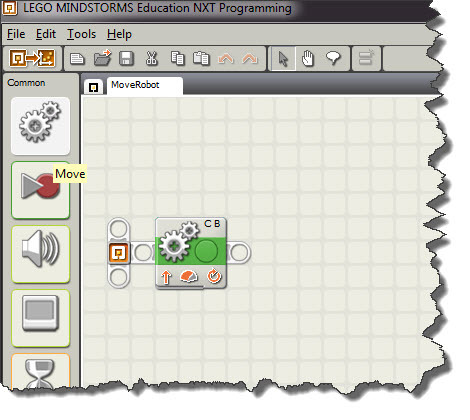 Simple NXT program 2. 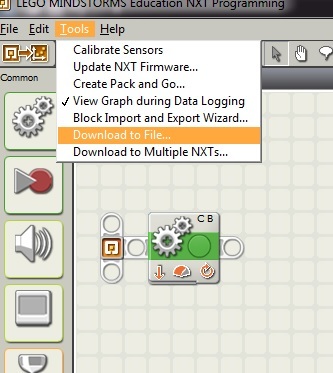 Click on the NXT-G Tools menu, and select "Download to File". 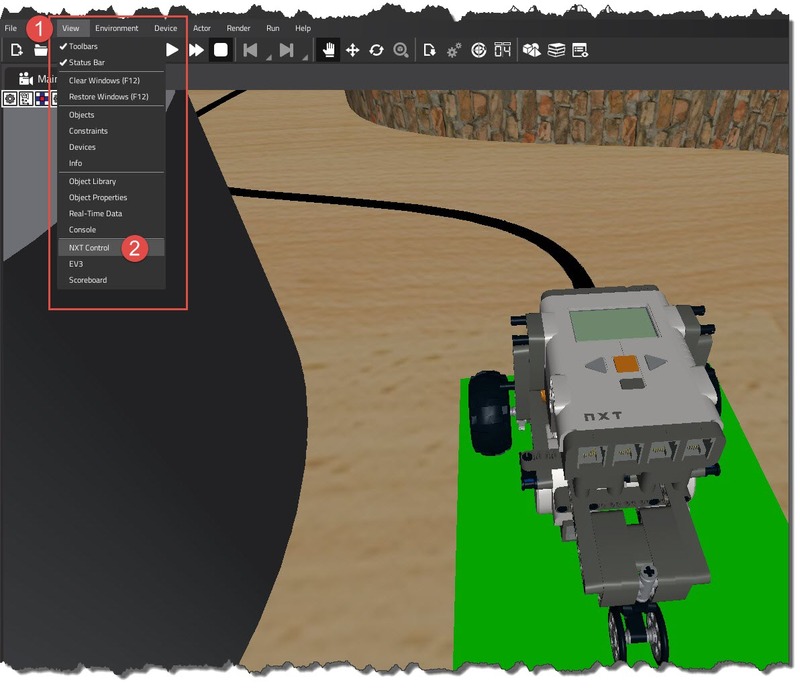 Saving the compiled NXT program to the desktop 3. A window will pop-up asking where you would like to save the compiled program file (.rxe). 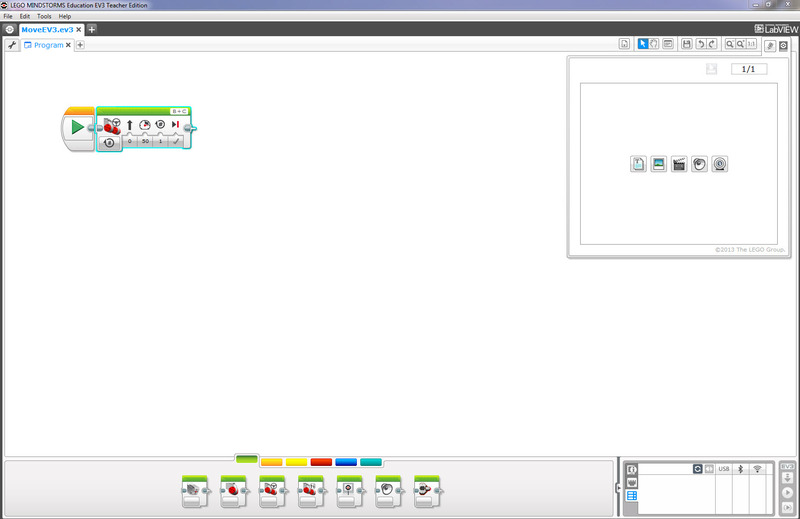 In this example, we will save our program to the desktop. Download to file dialog 4. 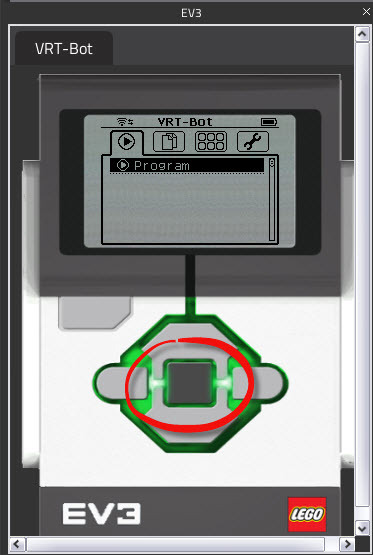 Open the simulator, if it isn’t already opened, and select the Maze. 5. 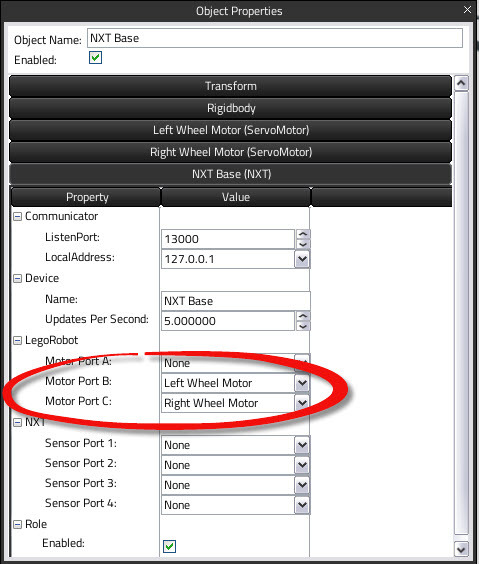 In the simulator, click on the "View" menu, and choose "NXT Control". 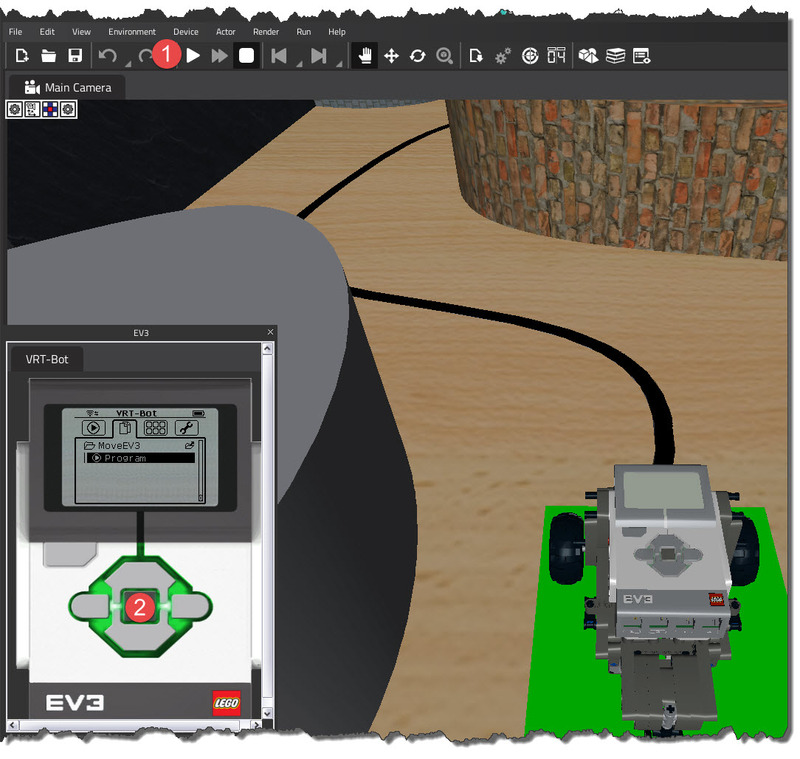 Opening the digital NXT Intelligent Brick 6. A digital version of the NXT Intelligent Brick now appears. 7. 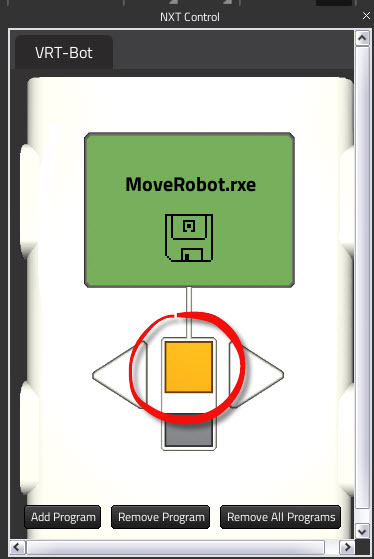 Click on the "Add Program" button, and find our MoveRobot.rxe file that we saved to the desktop. Loading program on to brick 8. 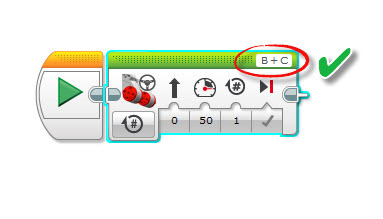 On the Intelligent brick, click on the orange centre button. If we have done everything right, the robot should move "forward".